The Super 8 Hanover PA is now open after a complete renovation. The guest rooms are new and fresh. Come experience our new hotel and discover for yourself why our Super 8 Hanover has won the Super 8 2012 Renovation Award and the 2014 TripAdvisor Excellence Award. 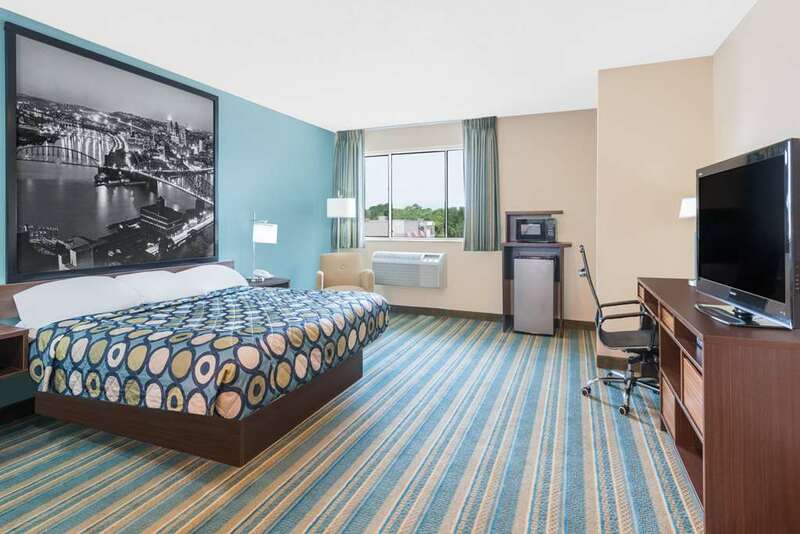 The Super 8 in Hanover PA is in great proximity to many attractions and corporations Enjoy Superior service when choosing either room with King or Queen size beds, we also feature suites with hot tubs. All rooms are non-smoking and equipped with refrigerators, hairdryers, alarm clocks, and 32 inch LCD TVs with over 70 cable channels for your viewing pleasure. You can enjoy Free SuperStart breakfast daily and access Free high speed internet from anywhere in the Property. Microwave in lobby. No Pets Allowed.